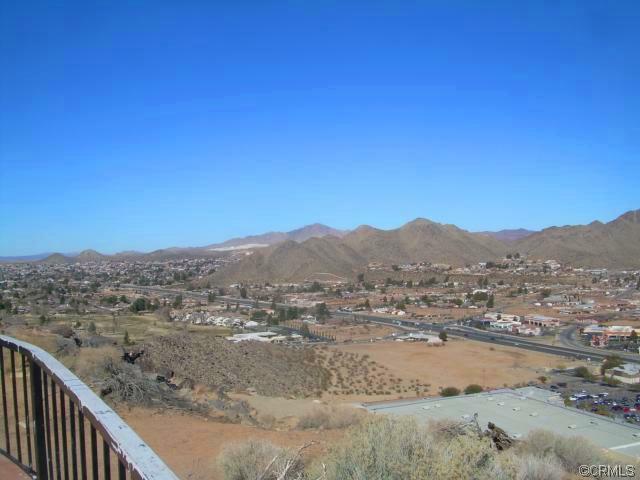 Out of the nearly 200 posts presented by Paradise Leased, few have generated the kind of excitement that our 2011 post on Apple Valley’s famous, but forlorned Hilltop House has generated. When I first wrote the post I wasn’t sure if anyone would even care about this once glorious, but now decayed property, but I was soon delighted to receive many e-mails and comments from so many people, from Apple Valley citizens to members of Newton T. Bass’ own family and even the daughter and granddaughter of architect Francisco Artigas himself, all expressing interest in the house and in trying to figure out a way to rescue it from its presently deplorable condition. And this is a house that both needs and deserved to be saved. 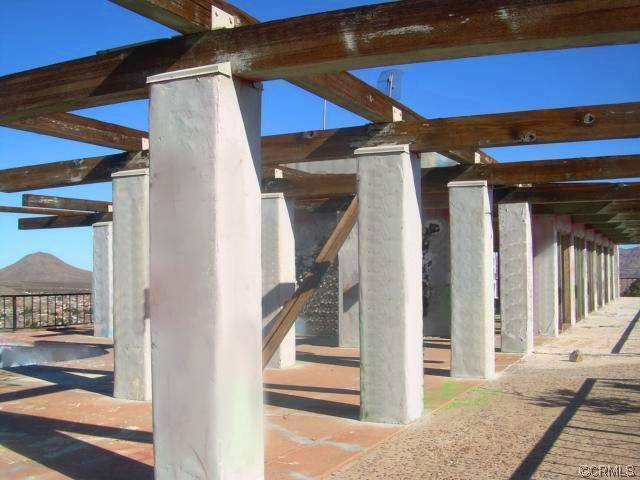 It, along with the former Apple Valley Inn that sits 300 feet below it, are priceless pieces of Apple Valley history. I know it may sound overblown, but Hilltop House is the Mount Vernon of Apple Valley. After all, it was the home of Apple Valley’s dynamic co-founding father, Newton T. Bass. “Mr. Apple Valley” himself. 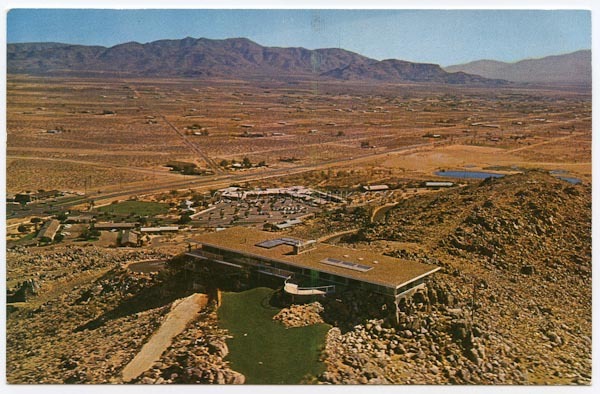 It was built as a symbol of Apple Valley’s future, impressively sited and skillfully designed by the remarkable and talented young Mexican architect Artigas. 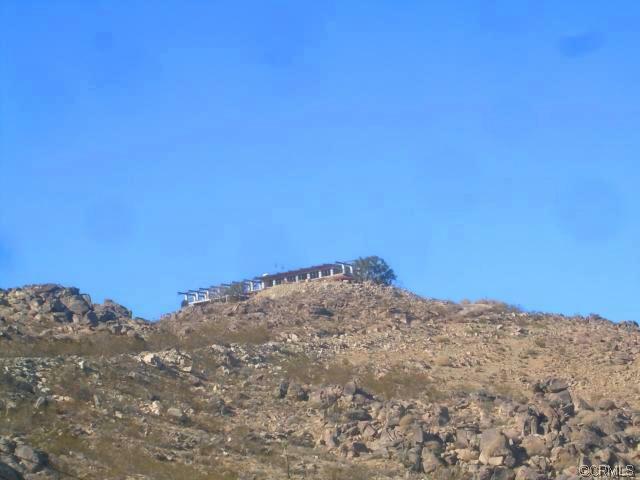 While so many of us agreed that Hilltop House should be rescued from its present state of decay, there seemed to be little anyone could do to help the graffiti-smeared shell at the top of the hill. You can now be king or queen of the hill! 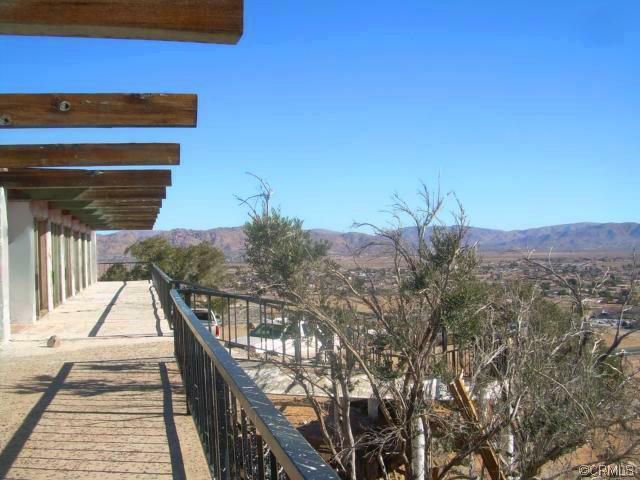 But now, an amazing opportunity has just presented itself – Apple Valley’s most famous house, Hilltop House is for sale! Just yesterday we received the exciting news from Apple Valley’s Hold Realty that the house and its more than twenty acres of surrounding hilltop are being offered @ $750,000. The present listing photos are rather sparse, but it shows the house has recently undergone a cleanup and no longer looks quite so decayed. 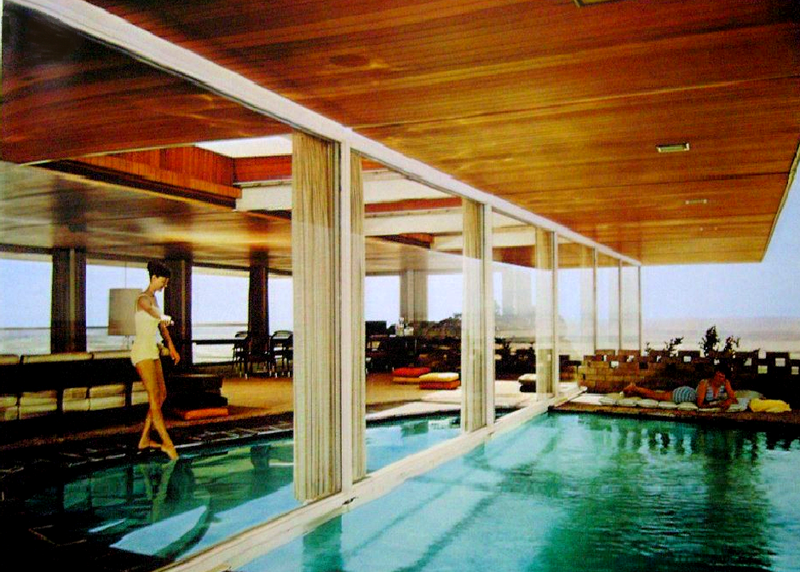 It will, however, require much effort and money to bring the house back to its 1950’s splendor. As the vintage photos attest, however, it will be well worth it! The possibilities are endless. 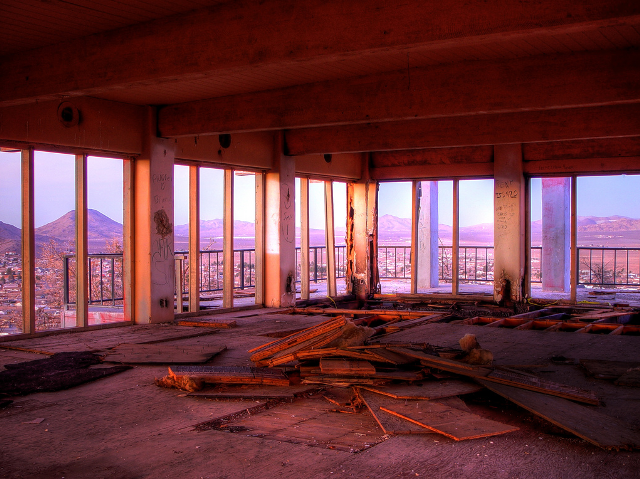 So, who has the $750,000 to save this incredible high desert landmark? Don’t let them bulldoze it and fill the hill with McMansions. We’ve already got plenty of those, but there’s only one Hilltop House. Special thanks to Hold Realty for tipping us off! And thanks to Steve Richard for turning me on to Hilltop House’s own Facebook page. Lastly, there are more pictures and info on Hilltop House here @ Bruin Trojan Realtors, Inc. Janet Stevens-Moore is the listing agent. 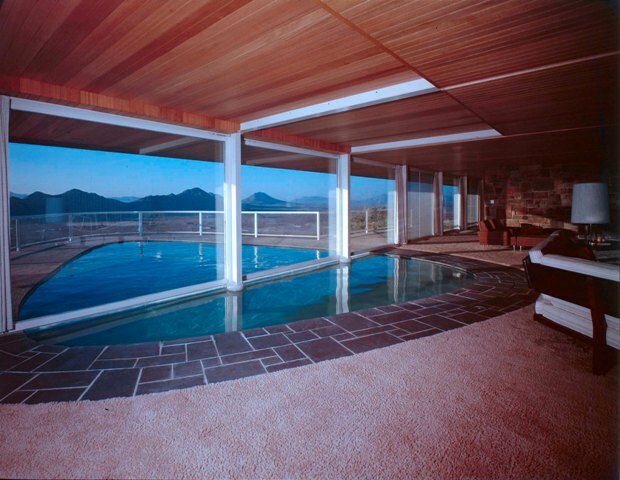 This entry was posted in Apple Valley, Architects, Paradise Elsewhere, Paradise For Sale or Lease and tagged Apple Valley Inn, Francisco Artigas, Hilltop House, Newton T. Bass. Bookmark the permalink. 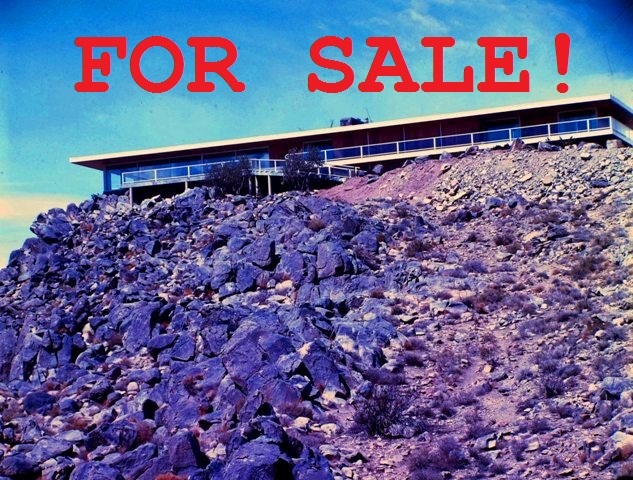 10 Responses to High Desert Paradise – Apple Valley’s Historic Hilltop House is For Sale! That’s a tear down price! Hi Steve . . . what good news for an ex-Apple Valleyite. When I was in college in the late 50s I worked 3-day weekends as a bus boy at the Apple Valley Inn (it was fabulous in those days) and watched Newt’s then-future home being built on top of the hill behind the Inn. I hope it gets a new lease on life. What a joy that you are back to blogging, and with such a worthy post. This house does, indeed, have endless possibilities. Let’s just hope the right person buys it. Welcome back! What a remarkable house. Fingers crossed it will be purchased and lovingly restored. Thanks for mentioning Hold Realty Steve!